Residential Roofing Company Arizona: When Is The Best Time To Get A Roofing Inspection? One of the best ways to preserve your roof and extend its serviceable life its to have it inspected by a professional roofing contractor that can then fix any present issues before they develop into major, more costly problems and roof repairs. Additionally, when you have your roof inspected is something homeowners should take into consideration. Scheduling a roof inspection at the ideal time can help you ensure that it is prepared and ready for the upcoming months and that you are aware of any potentially developing roofing issues. 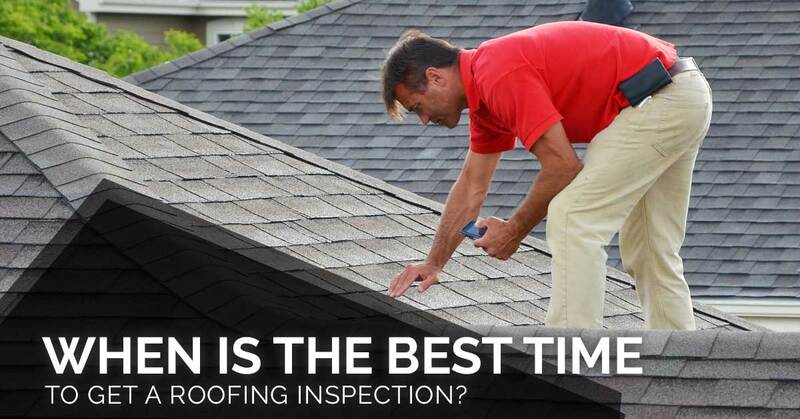 In this blog, we will share when the ideal time is to schedule a roofing inspection and why! Roofing materials are designed to hold up under many environmental pressures, but in Arizona, extreme heat, extreme dryness, extreme winds during monsoon season, and extreme deluges accompanied by hail can cause various levels of damage to your roof. However, during these extreme seasonal conditions, homeowners often do not notice that damage has been done to their roof. In fact, many of these developing problems are so small, they are near impossible to spot without a professional, thorough roofing inspection. Some damages, though, can be identified quickly at the first sign of rain, as the cracks and shifting have created roofing leaks, causing the inside of your roof to become wet and warped and increasing the chances of mold growth and further structural damage. When it comes to the care of your roof, timing is an extremely important factor. For instance, if you discover a serious roof leak, it is crucial that you contact a roofing company immediately to repair the leak and prevent the problem from spreading and eventually becoming an even bigger issue that will likely cost way more to repair. The same can be said for your roofing inspections. Not only do you want to make sure you catch as much damage as possible, but you also want to ensure that your roof is prepared for the months and seasons ahead! For this reason, many roofing experts suggest that the best time for a roofing inspection is usually in the fall season. However, you can never be too cautious! If you have a sense that your roof is due for an inspection, don’t ignore your gut feeling! It is better to be safe than sorry, after all. If anything does need attention, professional roofing contractors will be able to offer you a thorough roof inspection as well as an estimate for the repairs needed, that way you can get the roofing services you need quickly and make sure your home is fully-protected and capable of withstanding the Arizona climate. If you believe your home is due for a roofing inspection, contact Express Roofing, LLC! Our Phoenix roofers have the knowledge and expertise to carefully examine your roof to ensure it is offering you the best protection. To schedule a roofing inspection or to receive a free estimate, contact our roofing company today!